Bottles of wine in a supermarket of La Paz. 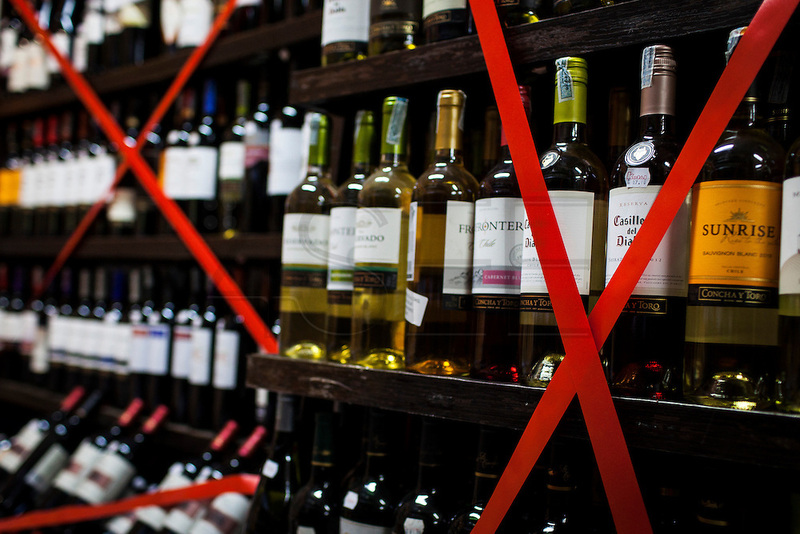 Alcohol is forbidden for sale 48 hours before and 12 after Election Day according to the law by the Electoral Tribunal. During elections period in Bolivia, the country faces several restrictions, like no alcohol for sale 48 hours before and 12 after the election; no public gatherings, shows of any kind until the political parties made their speeches on the election night; its completely forbidden the circulation of any vehicles, private or governmental except with the permit from the Electoral Tribunal, which means it would be basically no cars, buses or anything circulating in the city; no long distance buses, the terminal will be close from Saturday until Monday and even flights will not be allowed except the ones leaving the country or the international ones doing stop-over. It is a completely shut down of the country.